Two of the most popular items of Shu Uemura, a Japanese cosmetics brand, would have to be their eyelash curler and cleansing oils. I never tried their eyelash curler but my friend attested that they are really amazing. Anyway, my post is all about their cleansing oils which I am raving right now. I’ve been using this item for weeks and I am loving every drop of it. It was my mom who first bought a 100ml cleansing beauty oil premium a/o advance formula (green) at Duty Free Philippines last year. She told me to use it as it can wipe of make-up easily. I did not try it since I was happy using my other make-up removing products. There was one time though, my waterproof mascara won’t come off so I had to use this product. Alas, it really does work like magic! Not only did the waterproof mascara dissolve, it also wiped off other make-up residue from my skin. I really can tell, because my face was glowing after using it. The only downside is that I don’t like the feel of it as I put it in my face. The viscosity of the liquid feels like I’m putting cooking oil in my face. 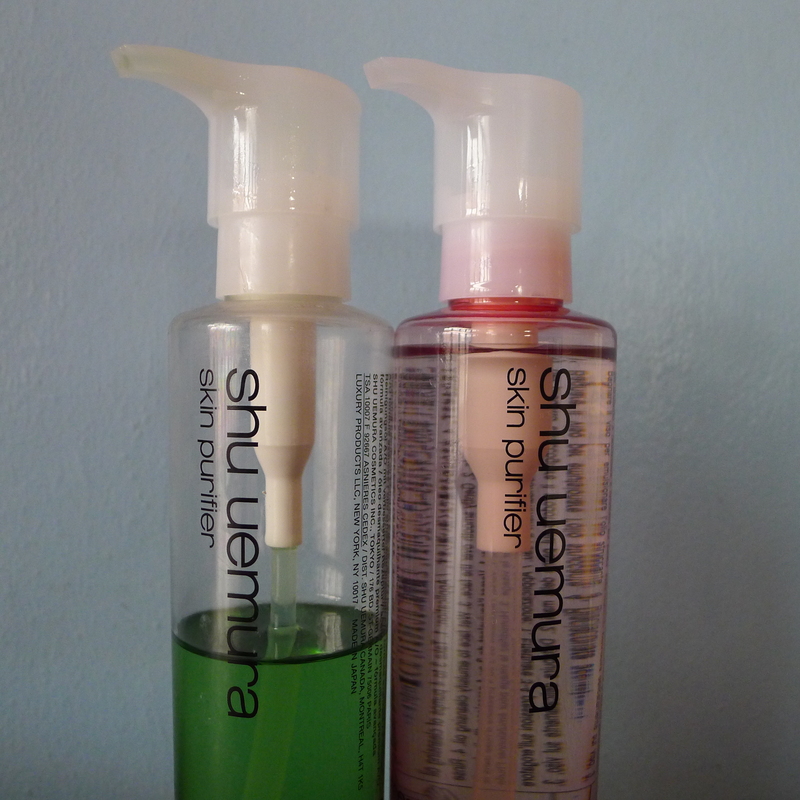 Thereafter, I bought my own 100ml of Shu Uemura fresh pore clarifying gentle cleansing oil (pink). I prefer this one as it is more lightweight and focused on pore clarifying. It clears my open pores better and it doesn’t have the funky feeling of putting cooking oil in my face. This is the right cleansing oil for me. I love it! Both cleansing oils are bought from Duty Free Philippines for $26 each. I haven’t checked how much are these at retail stores in Manila but I’m sure it’s more expensive.